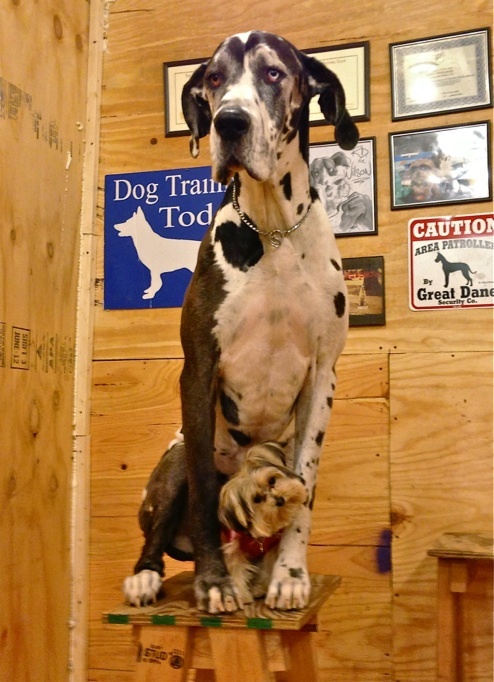 We are serious about training, so we can have fun with our dogs. 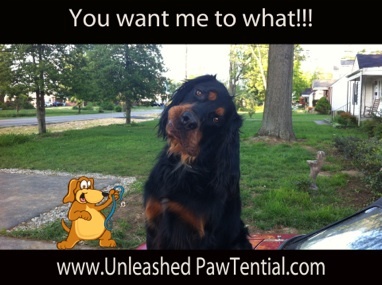 This training is a no nonsense, simple, results oriented approach to get your dog trained, stable, and reliable. There are no fancy gimmicks, magical products, or special treats to sell you. We do real training. The equipment needed is very simple. If you are a gadget lover, you will be disappointed by the simplicity of what we do. 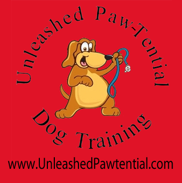 Results, and reliability on lead, or off lead is the most important criteria when selecting a dog training program. If it does not work, then it is not training. If you are one who would enjoy a stable, reliable, well trained dog as a companion, call me. Ellie did above average with her first agility session, but she is a hyper, athletic dog. which helps. Sitting calmly,and behaving is not something Persia does well, nor even wants to do. Persia was a growling barking barking lunger, who would turn on the handler from frustration of not getting to go to what she wanted. Any dog within sight was a strong distraction for Persia, so imagine what a distraction dogs playing and rough housing are for her. Persia does have a wonderful affectionate side to her, she is just easily overwhelmed by distractions. Charlie was a shy, timid dog, who was not afraid to use teeth to keep people away. He now goes to the pet supply house, and other places and is very out going, and charming. The term used by people who meet, and interact with him. ” I have never seen a well behaved Cocker before”. 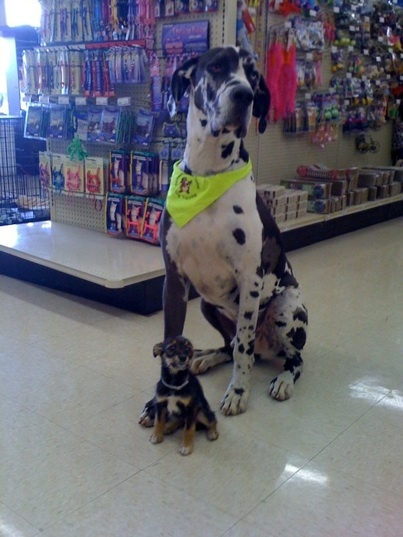 This is Apollo, a huge Dane, that makes my Danes appear small. Apollo was a horrible puller, when they arrived, for their lesson Apollo saw 2 dogs and simply pulled the owner about 50 feet to go see them. That is no longer a problem, and Apollo is a very enjoyable walking companion now. My 4 dogs in a stay, when the mailman came, and I walked out to meet him. Well this is just plain showing off of what can be done with proper training. The world is a dangerous place for a dog. There are a lot of things out there vying for its attention, other dogs squirrels, rabbits, birds, cars, bicycles, pedestrians, skateboards, and an vast assorted of smells. Leashes do get dropped, leashes do break, things just happen, and it is never at a convenient moment. Training makes the world a much safer place for your dog. Duke having a bit of fun tracking, I threw my keys over into the tall grass, and Duke’s owner sent him in to find them. He is either good, or I am lucky. Other two tracks are in the woods, with me hiding, very hard tracks. Duke did well, but he is a natural tracker.